The newspaper presented a vivid picture of British and world events and commissioned a large number of artists and draughtsmen to cover wars, royal events, scientific invention, and exploration. Screenshot from Illustrated London News Historical Archive. 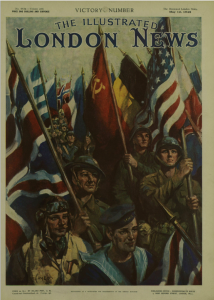 Illustrated London News (London, England), Saturday, May 12, 1945; pg. ; Issue 5534. Founded by Herbert Ingram it was a weekly publication up until the early 1970s after which publication became much more infrequent up until 2003 when it ceased publication. Screenshot from Illustrated London News Historical Archive showing first colour supplement. 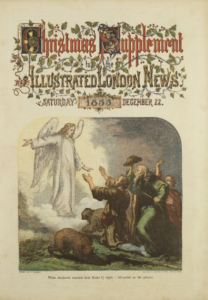 Illustrated London News, December 22, 1855; Issue 775 and 776 Christmas (Supplement). 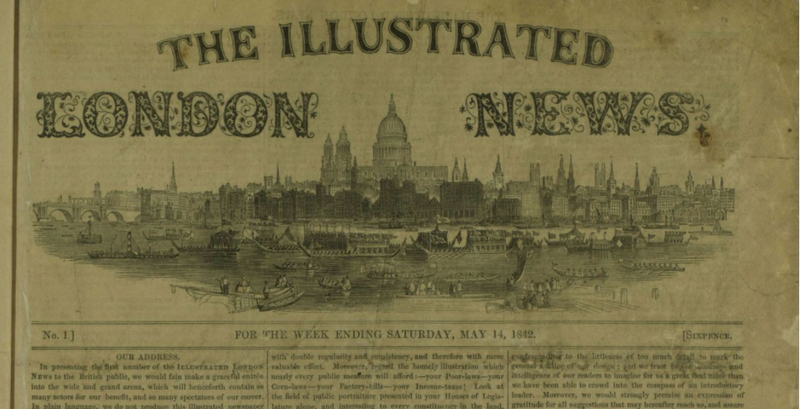 The Illustrated London News gives you a different perspective on events happening during 1842-2003 and provides a valuable alternative voice to other newspaper archives the Library already has access to for that period e.g. The Times Digital Archive, The Guardian and The Observer Historical Archive, The Scotsman Historical Archive, Daily Mail Historical Archive, The New York Times Historical Archive, etc. You can access these databases and the many more that are available via the Newspapers & Magazines databases list. You can cross-search The Illustrated London News Historical Archive along with the other newspaper archives we have access to from Gale, via Gale’s NewsVault. You can also cross-search with other primary source archives from Gale via Gale Primary Sources. You can access The Illustrated London News via the Databases A-Z list and the Newspapers & Magazine databases list. You can access all the online newspaper archives already available at the Library via the Newspapers & Magazines database list. This entry was posted in Library, New, Online resource, Primary sources and tagged 19th century, 20th century, Britain, cultural history, Databases, History, newspapers, primary source, social history by cstirling. Bookmark the permalink.